Just like a human fingerprint, every diamond has a unique GEMPRINT®. Let Heritage Appraisers bring you peace of mind and help you safeguard your diamond today. GEMPRINT® is the world’s most sophisticated, non-invasive, positive identification technology that records the unique optical ‘fingerprint’ of each diamond. 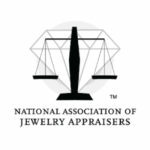 Heritage Appraisers is an authorized GEMPRINT® dealer. We can immediately register your diamond to the Gemprint International Registry, where it will be permanently stored for the purposes of future identification, verification, and recovery. Are you a jewelry store or business looking to offer this service to your customers? This is an add on to our Mail-In Appraisal service. Contact us today to discuss how to set this service up for your customers. Let us help safeguard your diamond today. When stolen jewelry is recovered, the diamond’s GEMPRINT® can be matched with an ID in the database. The added security of GEMPRINT® entitles you to receive discounts from insurers in the U.S. and abroad. GEMPRINT® has aided in the positive identification of tens of millions of dollars worth of lost or stolen diamonds, and current diamonds that have been gemprinted include the Hope Diamond. You never have to worry again when you leave your treasured engagement ring to be reset, repaired, or cleaned. GEMPRINT® allows you to verify the identity of your diamond with absolute confidence. If your diamond is ever lost or stolen, notify GEMPRINT® immediately. Your diamond will be flagged in the GEMPRINT® database helping to speed recovery. Over 30 international insurance companies provide a discount on your insurance premium of up to 10%. The annual savings you realize will recover the registration fee in just a few years. The GEMPRINT® registration of your diamond is a court-accepted means of irrefutable evidence proving ownership and protecting your investment. GEMPRINT® is based on scientific proof of a polished diamonds' individual identification similar to the human fingerprint for positive identification. Watch the videos below to see how GEMPRINT® works. The GEMPRINT® patented technology is based on the digital capture of the unique refractive light pattern for each diamond (the diamond's "fingerprint" or "gemprint"), the database storage of such digital images, and the inquiry, matching and verification of a requested diamond's digital light refraction pattern to the registered database of diamonds. When comparing two diamonds, the computer rotates the pattern to find the best alignment and then marks the matching points. Just like in fingerprint matching, positive identification requires a high percentage match.